Since many of us (hopefully) will be out of the office a bit this summer, we thought a book discussion might be more fun than our usual Daily Blog Read. Today, we're chatting about Skin Cleanse. This is our favorite type of beach read: informative, entertaining, and buzzworthy! We were first introduced to Skin Cleanse at one of Follain's Meet the Maker events earlier this year. 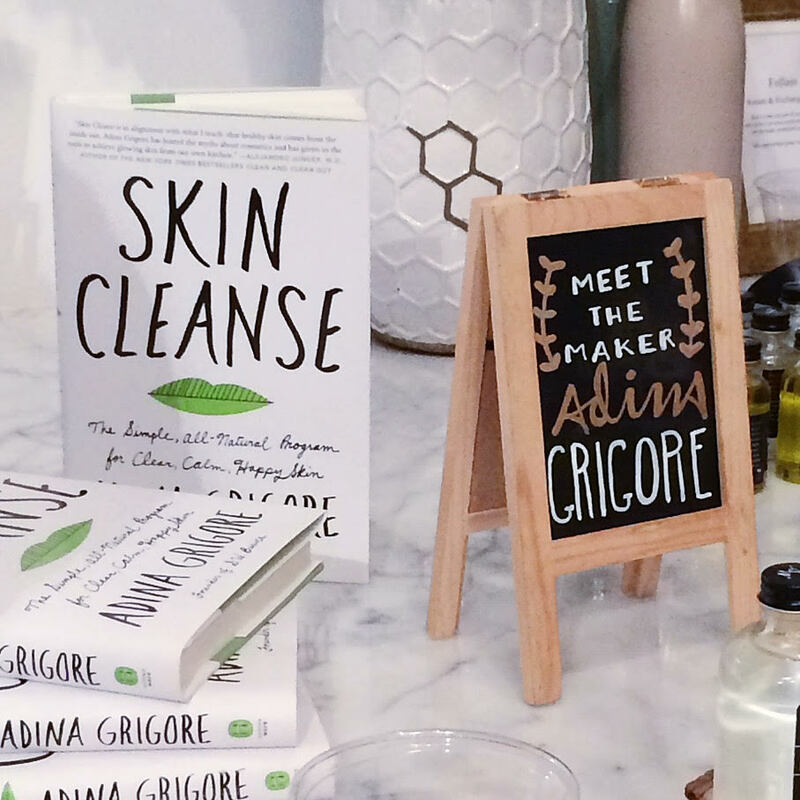 The event featured Adina Grigore, founder of one of our favorite eco-beauty lines S.W. Basics and, of course, author of Skin Cleanse. Adina is an absolute #galboss. Her products are safe, effective, affordable, and best of all, they are now sold at Target nationwide! So why read her book? It is a serious eye-opener, even for eco-beauty junkies like us. Adina describes, in a relatable way, how your lifestyle affects your skin. Then she gives a guided program for how to detox from ALL of your skin and hair products so that you can start fresh with new, clean products (or homemade alternatives). 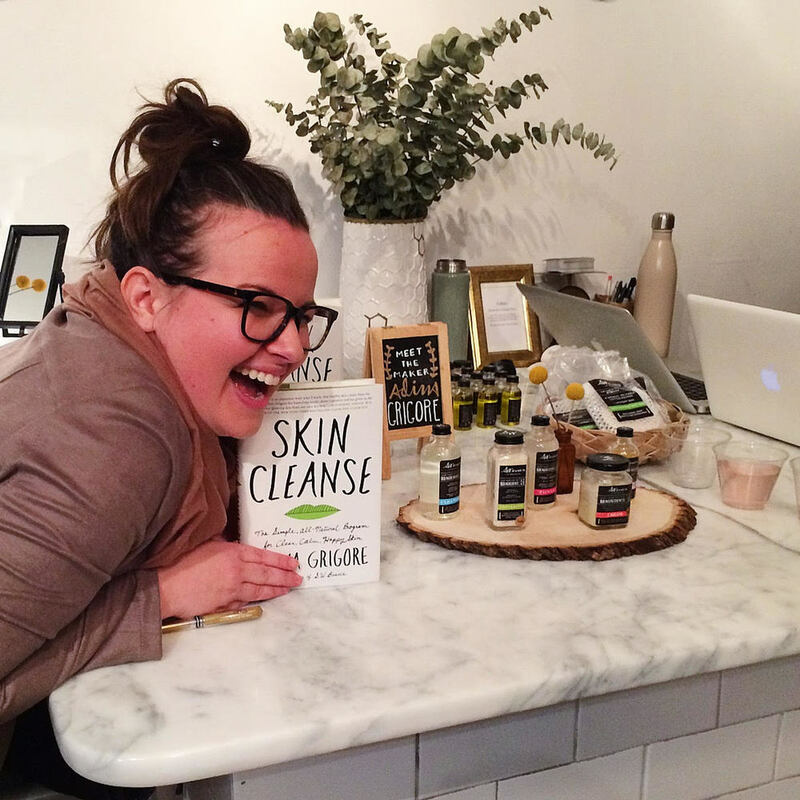 Adina saves the best part of the book for last: recipes for super-easy skincare products you can make at home. So grab this book, relax, and come back and check out this fun discussion guide! 1. What is your biggest skin problem? Does Adina address any causes in the book that surprised you? 2. Unlike a lot of self-help books, Grigore uses a very personal, light-hearted tone. Did this make the book more approachable or was it unnecessary? 3. Be honest, did you try keeping a food journal? If so, what did you notice? 4. What did you think of Grigore's decision to dedicate about half of the book to diet and lifestyle? 5. Did you try keeping a skin product journal? Was it easier or harder than keeping a food journal? 6. After completing your skin cleanse, what products did you decide to eliminate from your routine? 7. Were you more excited or more nervous about going cold turkey on beauty products? 8. What was your favorite DIY recipe? What are some of the pros and cons of making your own skincare? 9. Would you recommend the book to a friend (a good friend, you probably shouldn't recommend skin advice to people you're not close with!!! )?